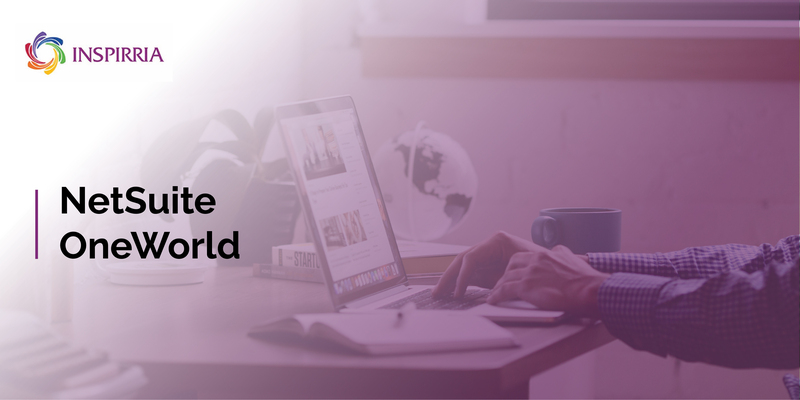 NetSuite OneWorld, a NetSuite Cloud Solution, can help enterprises operate from any location in the world, through appropriate legal subsidiaries, and in multiple currencies and languages. An easy to adopt business management software solution for small and medium enterprises, OneWorld focusses on the finance and operational efficiency, thus providing the much needed edge for organizations to align functional processes and operations and thereby achieve higher efficiency and profitability. Multi-national businesses can successfully run their operations with OneWorld software suite across geographical locations without spending additionally on IT infrastructure. OneWorld consolidates, real time, financial statements across subsidiaries and local currencies and provides consolidated business reports across operational and sales data. OneWorld's best fit is an organization that has several legal entities, engaged in the same business, with the same business model. For example, a company operating several wholesale distribution subsidiaries would be an excellent fit. NetSuite OneWorld not only accelerates financial processes but also provides real-time visibility into all aspects of your business worldwide, ensuring consistency and compliant management both locally and globally. Considering OneWorld's fundamentals comprise aspects of financial management, the software supports over 100 countries for taxes and reporting. NetSuite has a built-in tax engine that is configurable to an organization's specific business needs, irrespective of size and location. OneWorld offers to business leaders the so far unseen visibility of their business worldwide in real-time. Consistent data and compliance across organization enables multinational businesses to align operations across finance, marketing, commerce, sales and service. We have seen that the benefits NetSuite OneWorld offers are many. Real time metrics and role based dash boards enhance business performance to a great extent while there is simultaneous improvement in compliance and accountability. With all the technology features that can impact positive performance and productivity, the IT infrastructure required for NetSuite OneWorld is not high. To learn more about NetSuite OneWorld speak to our consultants and seize the opportunity to give your business that critical nudge towards superior performance in a very competitive business environment.